What Does The Best Bond Cleaning In Fortitude Valley Cover? Finding and selecting reliable house cleaning in Fortitude Valley is not easy. The most common questions we get asked by people like yourself have been collated below to assist you in making a smart decision. 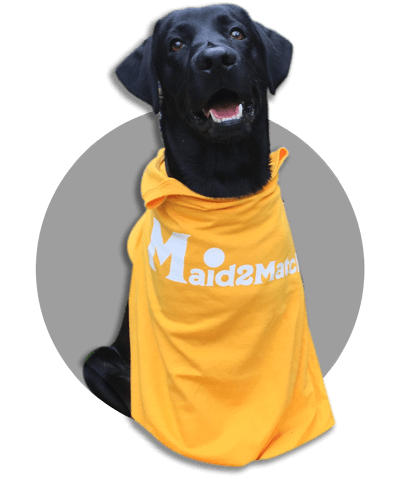 WHY ARE MAID2MATCH FORTITUDE VALLEY’S BEST AT VACATE CLEANING? The truth is great bond cleaners possess a different skill set than regular house cleaners and therefore requires specific experience, dedication, and a first-class cleaning checklist. At Maid2Match, we personally vet all our cleaners, after having them complete a three-part application form. We provide extensive support and have crafted the most effective bond cleaning checklist you’ll find. Let our experts take the stress out of your Brisbane end of lease cleaning. Fortitude Valley is located very near Brisbane CBD, to its northeast. That makes it the perfect place to be if you’re looking for entertainment, with a bustling nightlife, vibrant clubs and bars. A huge shopping precinct in the 1950s, The Valley began its life as a live music scene in the 1990s. But in 1999, the clubs and the live music led the residents to take action and try to close Empire Hotel and Press Club. As such, the City Council started the Valley Music Harmony Plan a few years later, so Fortitude Valley is now a Special Entertainment Precinct that protects both residents and the live music. You can, therefore, enjoy the Valley Fiesta, a three-day annual event with live music, market stalls, food and beverages. The International Jazz Festival and the Straight Out of Brisbane Festival feature some great entertainment as well. You can also visit Fortitude Valley’s Football Club, the Diehards. The Commercial Swimming Club, that’s given the world many Olympic and World Champions trains at the Fortitude Valley local pool, if you want a chance to meet some of these athletes. Also, the Big Gay Day is the place to go if you want to raise money for GLBTQ awareness.